One of the oldest cosmetic secrets in the world, the chemical peel has been passed down through the ages from ancient Egypt, Greece and Rome. Today, chemical peels are administered by a licensed medical aesthetician or dermatologist. 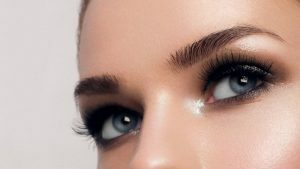 As NYC’s premier medical spa, Aesthetic Artistry’s aestheticians have years of experience administering this age old technique. 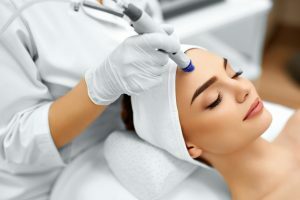 From glycolic acid peels to the Jessner peels, to tricholoracetic acid (TCA) peels and enzyme peels, we determine which skin treatment is best for you and devise a plan to reveal the youth and vitality that lies hidden beneath years of sun damage, acne scarring and/or the natural aging process. A chemical peel, aka face peel or skin peel, is the process of having a licensed aesthetician apply a chemical solution to the skin to make it blister and eventually peel off. As the top layers of skin peel, new and smooth skin is revealed. Chemical peels can be done all over the body, including chemical peels of the legs and feet, but are mostly applied to the face, neck or hands. 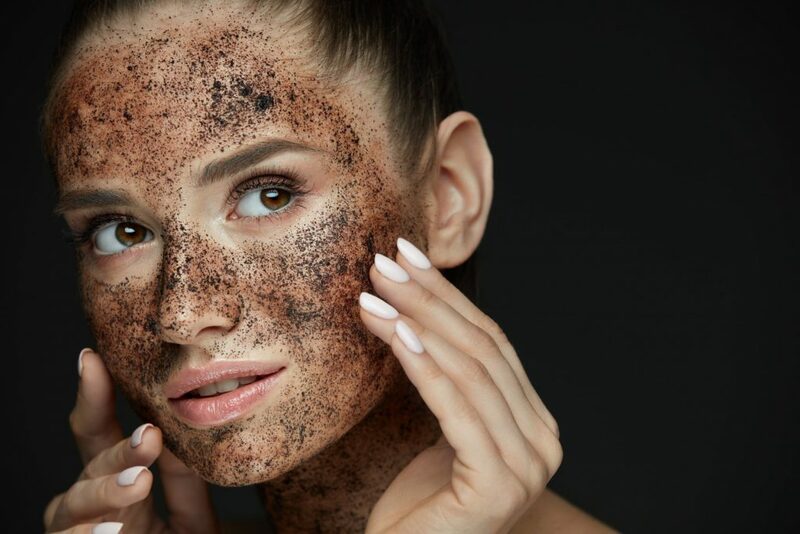 Unlike physical exfoliation where an abrasive solution is massaged into the skin to manually remove dead skin, chemical exfoliation is the removal of skin with the use of acids that are safe for skin and encourage a wound healing response. This causes collagen production to increase exponentially on a dermal level. Although not painful, chemical exfoliations can cause some stinging, redness, irritation and possibly some crusting of the skin. The key to chemical peels are caustic agents, which accelerate exfoliation. Our licensed NYC-based aestheticians evaluate your skin to determine the most effective type of chemical peel for you. The chemicals induce a controlled wound, causing the skin to release cytokines and inflammatory medians to heal. The result is a thickening of the epidermis, increased collagen and reorganization of skin structure. 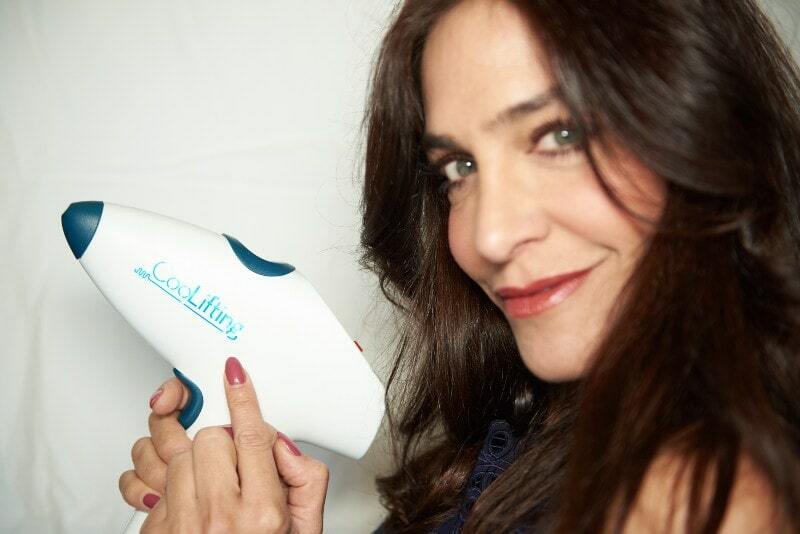 The overall dermal thickening and increased dermal volume leaves skin looking more youthful and vibrant. Based on a free professional evaluation from a licensed aesthetician at one of our NYC-based medical spas, we determine which chemical peel is right for you. Great for sensitive or rosacea skin, light peels use alpha-hydroxyl acids and/or enzymes to penetrate only the outer layers for a gentle exfoliation. Aesthetic Artistry NYC uses glycolic acids or Jessener solutions, consisting of pH levels below 3.7, to penetrate the middle layers of skin and remove damaged or dead skin cells. * The Glycolic Peel uses glycolic acid, an alpha-hydroxyl acid made from sugar cane, which has a small molecular structure giving it the ability to travel deep into the layers of the skin. * The Jessner Peel uses a combination of three chemicals - resorcinol, lactic acid and salicylic acid, to exfoliate the skin and penetrate the skin to remove the superficial layers. What are the benefits of a Medium Chemical Peel with glycolic acid or Jessner solutions? Requiring a pre-treatment beforehand, those looking to see dramatic improvements with all skin complaints should consider a deep peel. The Tricholoracetic Acid (TCA) and Phenol Peels are the deepest available chemical peels, penetrating into the layers of skin. * TCA chemical peel, a non-toxic acid in the vinegar family, has been used to perform skin peels for over 20 years. When TCA is applied to the skin, it causes the top layers of cells to dry up and peel off over a period of several days to a week. * Phenol chemical peels are the most aggressive type of skin peels available. A phenol peel is an effective remedy for severely sun damaged skin, coarse wrinkles, scars and even pre-cancerous growths. Phenol peels use carbolic acid and are only for the face. What are the overall benefits of a deep chemical peel using TCA or Phenol Peel? The skin continues to peel for 3-5 days after the treatment is undergone. It’s important to use a gentle cleanser, moisturizer and sunscreen. You can resume normal activity right after the peel, but avoid strenuous exercise for 2-3 days as it may cause heavy sweating. Each of our New York locations carry a full line of advanced home care products, such as Skinceuticals® and Image Skin Care®, to help improve and maintain your skin’s overall health and appearance. Our Aesthetic Artistry aestheticians will advice you on a complete skin care regime. HOW OFTEN CAN I get a chemical peel? Depending on the type of chemical peel used, 4-6 sessions are suggested for best results. We recommend that you make an appointment at either our Manhattan or Staten Island New York medical spa offices with our licensed aestheticians for a free consultation so we can guide you for the perfect skin care plan to reveal the beauty within you.